We have cable in our house, so we just have most of our HD tvs hooked up to a cable box. Now, I thought that our TV reception looked pretty good. 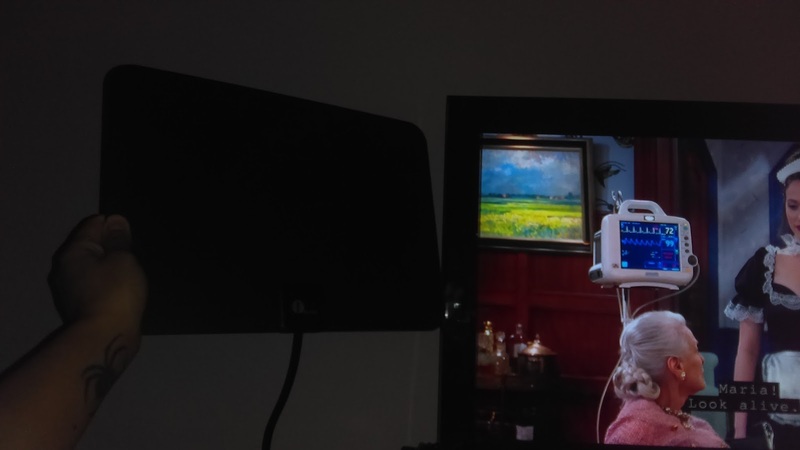 I decided I could try an antenna on the one HD TV in the house that we don't have a cable box on. It's the TV we use in the game room with game systems hooked up. Okay, so I was watching a show on TV in my room, but it was on a local channel. I figured this would be a good time to make a comparison. I brought the antenna in and hooked it up to the TV. First, I kept it on cable for a few minutes, and went into the menu, to set it to its optimal HD settings. Then, I flipped over to regular TV. I'm seriously not joking when I say the reception was so much better on regular TV. It actually upset me slightly, to know that money is being wasted on our so-called amazing cable service, as far as good reception. I even watched the rest of the show and a few others on regular TV. 10 ft cord and 50 mile range! 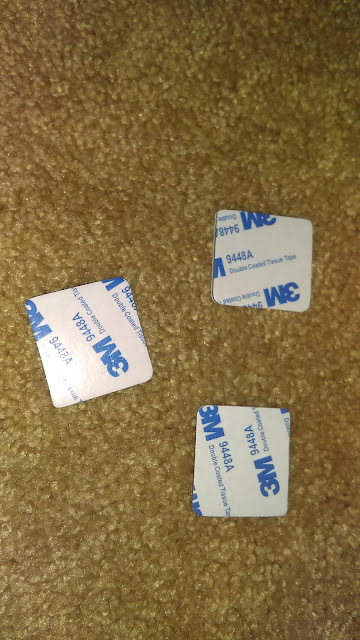 and a few little sticky adhesive tabs so that you can stick your antenna box on the wall, window, or wherever. 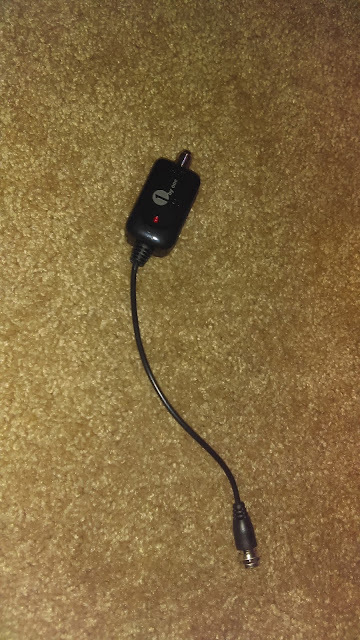 I tried it with both the amplifier and without, and both ways work just fine. It may be different for other people in low reception areas. Therefore, the amplifier might actually be needed. Also, attaching to a window may help too. 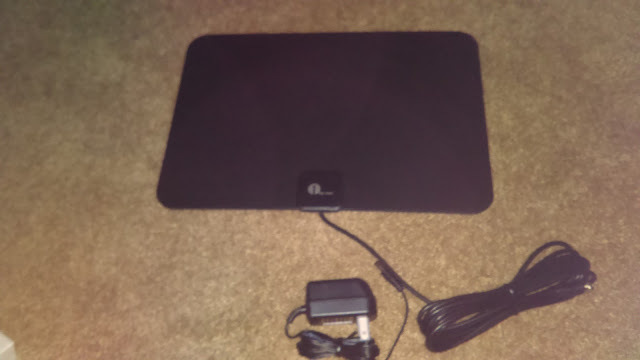 The antenna box is thin and flat and doesn't take up much space. I just have mine standing up next to my TV and it works well. I will be using this VERY often. I wish there was a way to attach it to my cable box to make my cable service look better. That would be perfect. You can purchase this antenna on Amazon. Disclaimer: received this product in exchange for my unbiased review and all opinions are my own.